If you’re looking for a quick and happy read to tackle this weekend, search no further! Anyta Sunday writes short and sweet romance like no other, and she’s dished up a heaping helping of “aww!” in her story about college boys Justin and Kane. Justin has opinions about things, music included, and he especially dislikes a certain band called Tepid Creek. He’s been listening to and calling a popular late-night college radio show/host, DJ Dangerfield for a while now, and Dangerfield just *loves* to push Justin’s buttons, especially when it comes to Tepid Creek. Who is Dangerfield, though, and why does he bring up, ya know, feelings in Justin? Feelings like attraction and flirting and…desire. Oh my. Did I forget to mention Justin’s straight and living with his girlfriend of five years? :-) This little detail makes it rather hard for Dangerfield—also known as Kane—to find common ground with Justin, and it makes Kane understandably reluctant to reveal his true identity. What unfolds is a really solid story with very little angst and no villains (praise). Justin’s gal Hannah isn’t evil, and the couple doesn’t do dramatics. There’s discussion and awareness and understanding, and, and…isn’t that a beautiful thing? With short stories like DJ Dangerfield I think it can be hard for authors to get readers to connect with the characters. Let’s face it: 17,000 words doesn’t leave a lot of room for character growth. That said, I really liked the banter between Kane and Justin, but more than that, I liked the way Justin came into his own and did some soul searching about who he was and what he wanted from his life. To be perfectly honest, I’d have loved even more from Justin and Kane, but there are a couple (that’s right; TWO) satisfying prologues that tie things up quite nicely. 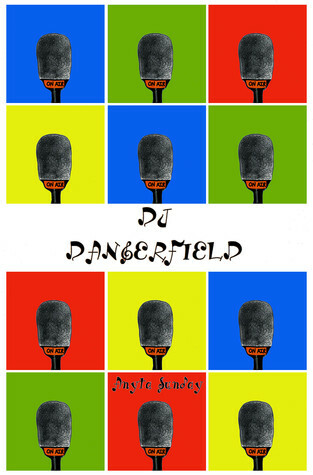 DJ Dangerfield is the perfect feel good nugget for curling up and reading in one afternoon, and I liked it a lot. This entry was posted on December 4, 2014 by Jenni in Contemporary, Reviewer: Jenni and tagged 3.5 Stars, anyta sunday, self-pub.